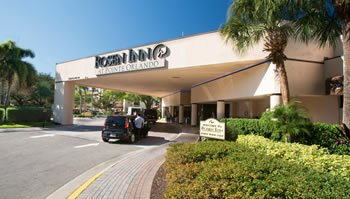 Celebrate the holidays all year long with Rosen Inn at Pointe Orlando. Whether its Easter dinner or a Thanksgiving feast, you and your family are always welcome at our table. Check out some of our upcoming holiday events below. Gather the family at Plaza Garden Restaurant for an Easter Buffet that will have you feasting, talking, and going for seconds (possibly thirds) as well. Check out what’s on the Easter Buffet menu. Treat Mom to a special dinner featuring favorite home-style classics made with love. Great, homemade classics are on the menu, but we know nothing compares to Mom’s special recipes. Check out what classics made it onto the Mother’s Day menu. Let Santa know what you really want for Christmas in a carefully detailed letter to him. Drop your wish list in Santa’s Mailbox at the Letter Writing Station located in the hotel lobby. Throughout the month Sparkle, Santa’s most trusted elf, will drop by to pick up the letters and deliver them to Santa. Learn a new crafty skill this holiday season. Our resident origami artist will teach you to fold paper into delightful holiday shapes. Save your origami and decorate your Christmas tree with your miniature creations. Lessons will be given in the hotel lobby or restaurant depending on the day. Join us for our All You Can Eat Buffet at Plaza Garden Restaurant, you also get a cookie to decorate. Turn your cookie into an edible ornament, snowflake, present, Christmas tree, or a mitten—or whatever you can imagine. Visit with Mrs. Claus for holiday storytime at Plaza Garden Restaurant. Mrs. Claus will tell stories sure to delight kids and families alike. Get in the spirit of the season with our balloon artist. Kids of all ages will delight as she fashions holiday shapes using balloons. Gather round and let a dab of paint transform you into an elf, one of Santa’s beloved reindeer, or anything else the imagination can conceive. Drop by our holiday themed photo booth filled with fun props. It’s great entertainment for family and friends. The best part? The photos are complimentary, so are the smiles and laughs! It’s playtime with Sparkle the Elf in the hotel lobby! Kids love this time playing reindeer games with Sparkle. Keep your phones handy so you can capture a photo that proves elves do exist! Oh come all ye faithful (adult) carolers and sing your favorite holiday (or other favorite) tunes at Zebra’s Sports Bar & Grille. Grab a late night bite to eat and enjoy one of our specialty holiday cocktails guaranteed to ignite the holiday spirit within. Join family and friends in Plaza Garden Restaurant for a delightful traditional buffet. Click here for details on the menu.